Did I already say that we are all project managers? 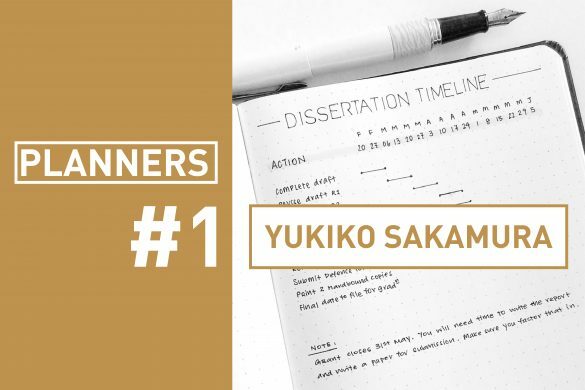 As students when we have to write dissertations or run group projects, as professionals when your job includes running any kind of project, and as individuals when it comes to plan a moving or to organize your brother’s surprise birthday party. Perhaps you’re like me, managing several projects at the same time, and sometimes feeling like your brain’s about to explode. I mean, how to sort and organize the thoughts darting around in your mind all day long?! Here’s a suggestion: keep a project journal. Keeping a project journal will allow you to gain perspective. Having all your personal notes and meeting ones in the same place will allow you to have a clearer picture of what’s going on: the stakeholders involved, progress made over time… In the end it’s a good starting point to put yourself in others shoes and see your project from different angles. Putting your thoughts on paper will help you take a step backwards and clarify them. It will also encourage you to go deep into the subject you have to deal with. It’s especially true when we’re facing a problem. Thinking about it through journaling (jotting notes or creating a mindmap for instance) is a great way to start identifying the root causes of the problem you have to handle. Once you’ve put everything on paper, and you’ve identified the root causes of the problem, you’ll have a better chance to solve it. Clarifying problems using mindmaps in a project journal. Keeping a project journal is one of the best way to acknowledge progress. Use your journal to review your plans, keep track of what’s been done and what’s need to be done next. With a project journal, you can always say where you stand in the project timeline. And adjust your plans on the fly. to help you assess your progress and plan your next actions. They may be related to the project itself, its context, the project management process… Every project is an opportunity to grow. 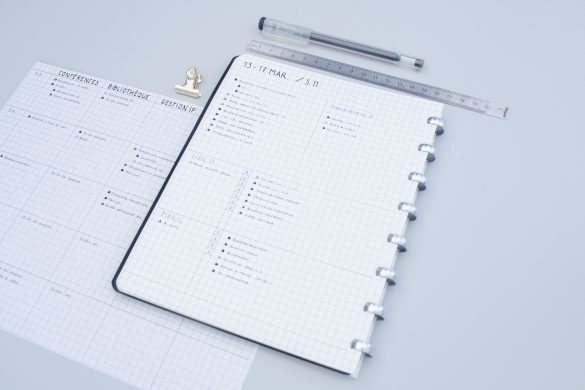 Keeping a project journal will allow you to keep track of what went well, what’s been challenging or what went ok but could be improved for the next time. This information can then be of great value when it comes to draw conclusions or improve your project management process to kickstart a similar project. 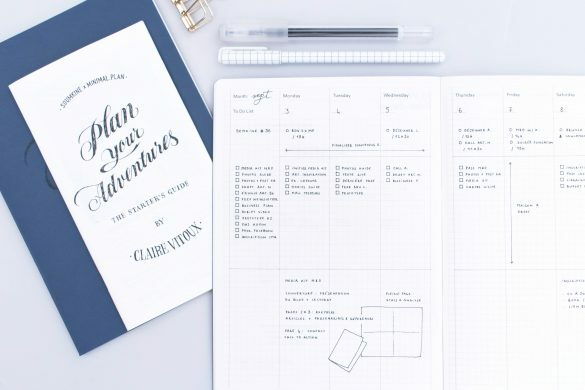 A project journal is also a great tool to stay focused on your goals. Having a place to manage and review your projects will help you prioritise your tasks and make sure you’re focusing on what matters. 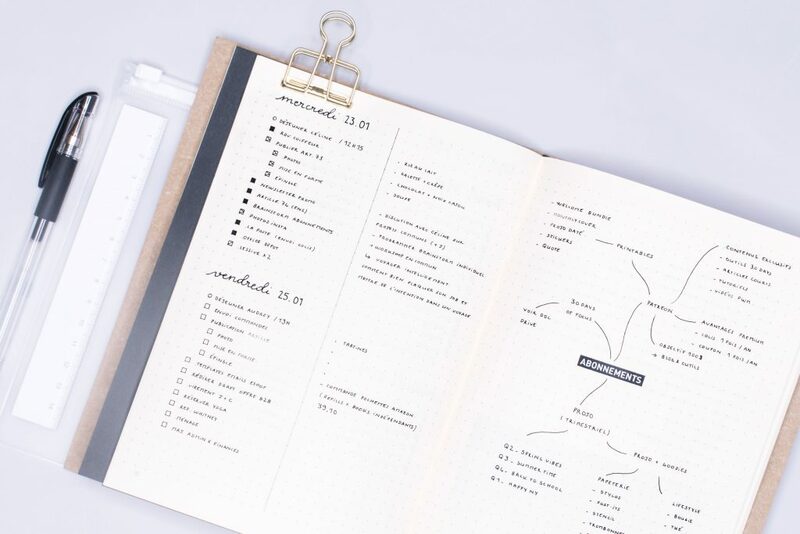 A project journal is also the perfect place to capture all the random thoughts that can come to your mind during the day and that can draw your attention away from your priorities. 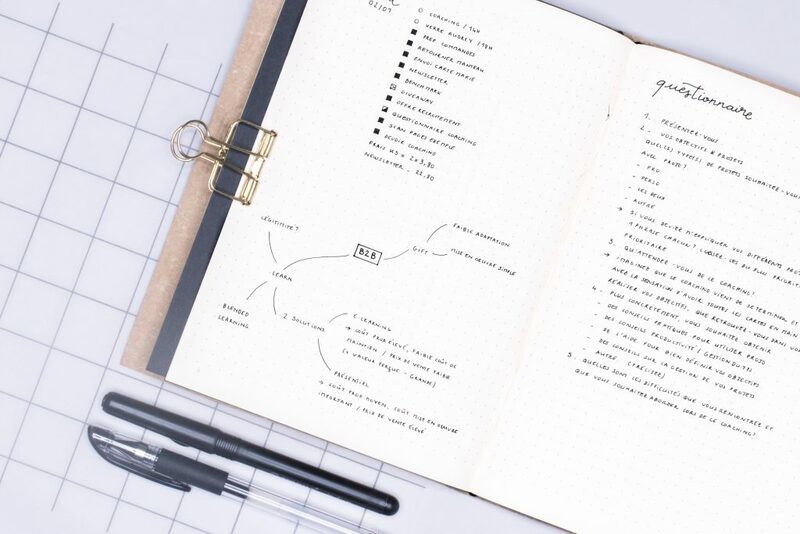 Jot down all your questions and ideas in your project journal and review your notes to store them where they belong at the end of your day. random thoughts and stay focused through the day. You can create a project a project journal on your computer, using Google docs or OneNote for instance. But I personally find it easier to have this in a notebook. Nothing beats paper and pen to keep track of ideas and thoughts. 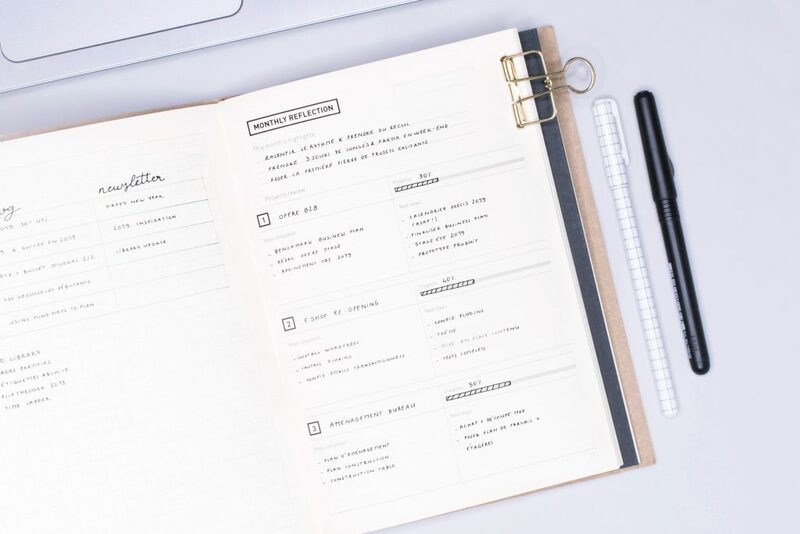 I personally use PROJO – the project journal to keep all the info I need to run my projects: work plan overviews, appointments, task lists, notes and ideas. All in one place. 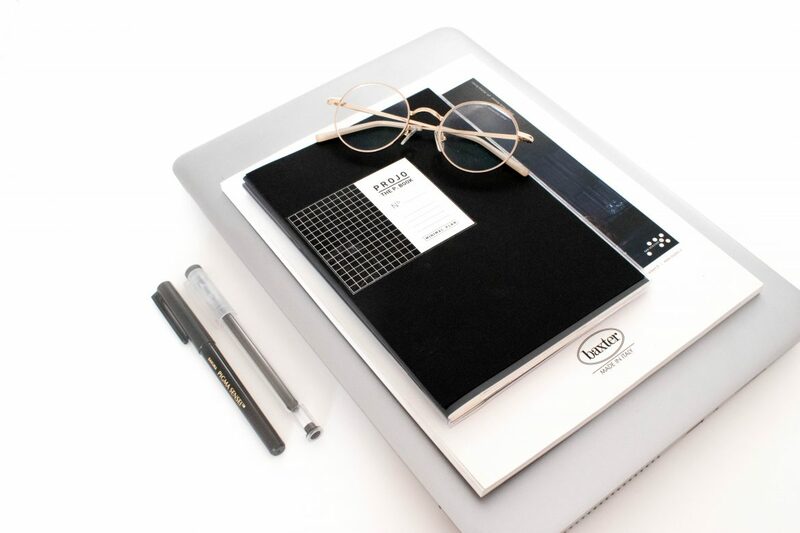 As it features a project planning book + a dotted notebook (hold together by a clear cover), I can plan AND document my projects with an all-in-one system. 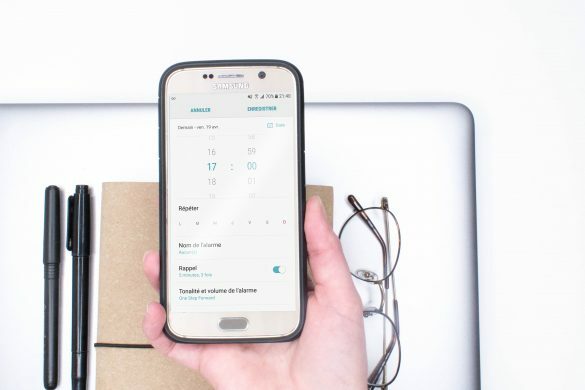 due dates, appointments, tasks, contact info, notes… All in one place. Ideally everyday. 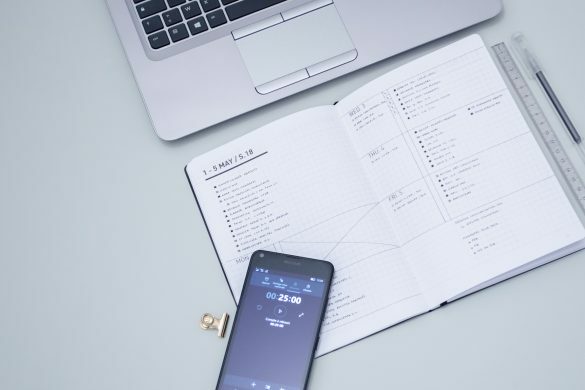 It doesn’t have to take long: 5 minutes are enough to log what happened during the day, jot down some notes and create make sure everything’s running smoothly. Aside of your daily practice, create a weekly routine to review your journal, update your plans and adjust them if needed. 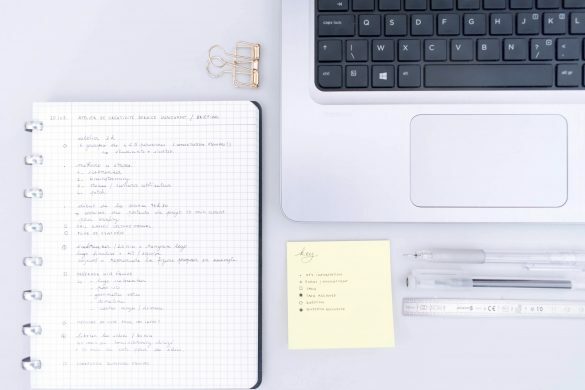 If you’re working as team manager or just within a team, the weekly routine is the perfect occasion to organize your thoughts and get ready for the next team meeting or project review with your client. All the kind of project that need planning. Which is basically all projects. 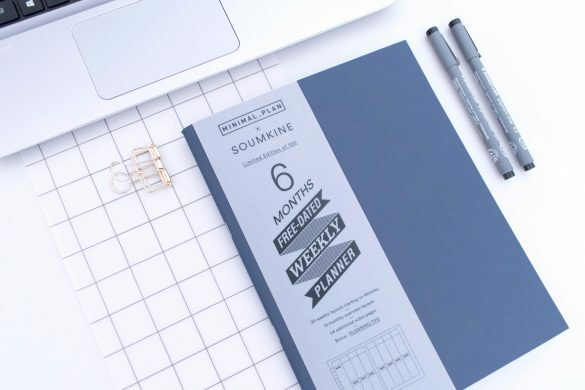 If you’re managing a lot of projects at the same time, you may want to keep your journaling practice down to the most challenging projects, or just projects that are very new to you. Either way, having a project journal is a good way to keep track of everything that’s happening. Which is very useful to have a comprehensive history of your project: why this solution has been prefered over an other one, why this phase suffered a delay… When it comes to draw conclusions and write a final report, you’ll surely appreciate to have accurate information on hand to nurture your work. If you’d like to give this “project journal” thing a try but don’t know where to start, check out PROJO – the project journal. It comes with all the resources you need to start, and can definitely help you to achieve all kind of projects! 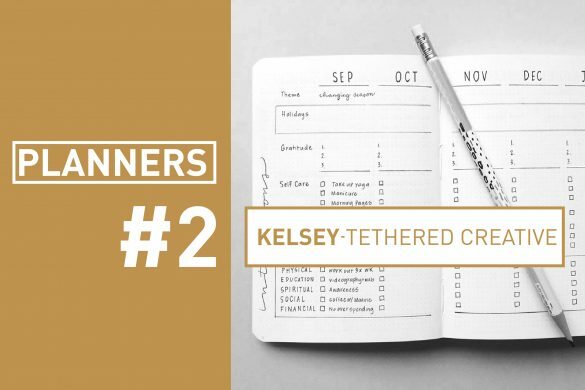 Have you ever kept a project journal? How have you benefited from it?